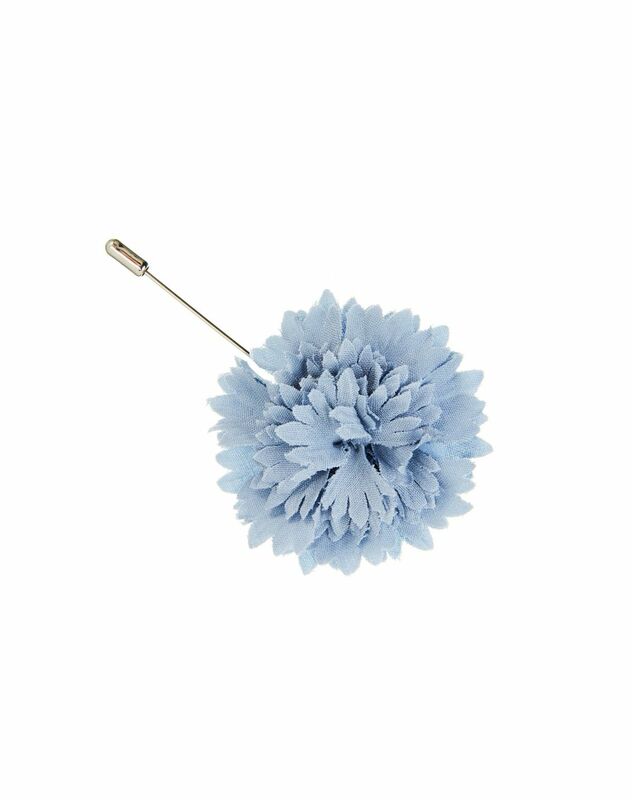 Light blue carnation tie pin in wool and silk weaves. Brass tip with Lanvin logo. Main material: 100% new wool weave. Secondary material: 100% silk weave. Made in Germany.